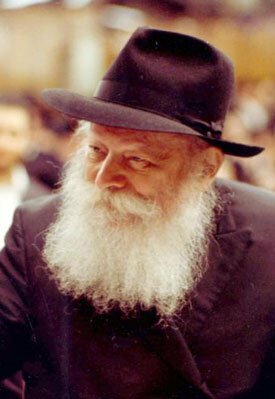 Rabbi Menachem Mendel Schneerson, the leader -"the Rebbe"- of the Lubavitch movement of Chassidic Judaism for forty four years, was a paradoxical man. While he barely set foot outside his neighborhood during his entire leadership, his influence was felt worldwide. While he was considered one of the worlds foremost religious scholars, he was also recognized as a brilliant scholar in mathematics and science. While he appeared to be an Old World leader whose community was somewhat cloistered, he was thoroughly knowledgeable about the modern world and reached out enthusiastically to society at large, to Jew and non-Jew alike, encouraging the pursuit of virtuousness education, and unity. Menachem Mendel Schneerson was born on April 18, 1902 (the eleventh day of Nissan, 5662), in Nikolayev, a town in the southern Ukraine. His father, Rabbi Levi Yitzchock Schneerson, was a renowned scholar, his mother, Rebbitzen Chana Schneerson, was an aristocratic women from a prestigious rabbinic family. He had two younger brothers, Dovber and Yisroel aryeh Leib.. When Menachem Mendel was five years old, the family moved to Yakaterinoslav, now Dnepropetrovsk, where his father was appointed chief rabbi. From early childhood, Menachem Mendel displayed prodigious mental acuity, leaving school for private tutoring. By the time he reached bar mitzva, he was considered a Torah prodigy, and during his teenage years, he immersed himself in the intricacies of Torah study. In 1923, he met Rabbi Yosef Yitzchock Schneerson - then the Lubavitcher Rebbe- who drew him into his inner circle giving him various responsibilities; five years later, in Warsaw, he married the Rebbe's second eldest daughter, Chaya Mushka (1901-1988). A short while later, the couple moved to Berlin, where Rabbi Menachem Mendel had already begun studying mathematics and science at the University of Berlin, Because of the Nazi rise, the young Rabbi and his wife left Berlin in 1933 for Paris, and he continued his studies at the Sorbonne. Primarily, however, he immersed himself in prayer and religious study, and was referred to by his father-in-law on various matters, including the preparation of Lubavitch publications. He also served as his father-in-law's private secretary and traveled on his behalf to visit various Jewish leaders in Europe. When the Nazis occupied Paris, the couple was forced to escape the city. On June 23, 1941 they arrived in New York, where Rabbi Yosef Yitzchock Schneerson appointed his son-in-law head of Lubavitch's educational arm, as well as the movements social-service organization and its publishing house. In 1950, Rabbi Yosef Yitzchock passed away. Although Rabbi Menachem Mendel was the obvious successor, he was initially reluctant to accept the mantle of leadership. A year later he formally assumed the title of Rebbe, explaining to members of the movement that while he would be devoted to his work as leader, each man and women was ultimately responsible for his or her own actions, and for his or her pursuit of G-dliness. The ensuing forty-four years of the Rebbe's leadership saw Lubavitch grow from a small movement nearly devastated by the Holocaust to a worldwide community of 200,000 members. The Rebbe, recognizing the unique needs of the current generation and anticipating the societal needs of the coming decades, began to establish education and outreach centers, offering social-service programs and humanitarian aid to all people, regardless of religious affiliation or background. He established a corps of Lubavitch emissaries (shluchim) and sent them out to build Chabad - Lubavitch centers worldwide, to serve the spiritual and material needs of the local communities. Today there are more than fourteen hundred Chabad-Lubavitch institutions in thirty-five countries on six continents. By blending his intense religious and secular training with deep compassion and insight, the Rebbe quietly became a leader to whom other leaders - those in politics, business, and religion - turned for advice. Beginning in 1986, he would personally greet thousands of visitors each Sunday, distributing dollar bills that were meant to encourage the giving of charity; many people saved the dollar bills as a memento of their visit with the Rebbe, a testament to being moved by his presence. With the fall of communism and the miracles during the gulf war, the Rebbe stated that these are heralding a time of peace and tranquillity for all mankind, the time of Moshiach (messiah). To this end the Rebbe placed much emphasis on the traditional Jewish teachings regarding the time of Moshiach, placing great emphasis in the studying of these concepts. The Rebbe also oft repeated the statement of our sages that through doing just one good deed we can usher in the era of Moshiach. May it be speedily in our days. 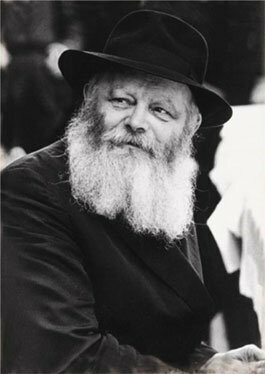 In 1992, at the age of ninety, the Rebbe suffered a stroke; he passed away two years later, on June 12, 1994. Shortly thereafter, a bill was introduced in the U.S. House of Representatives by Congressmen Charles Schumer, John Lewis, Newt Gingrich, and Jerry Lewis to bestow on the Rebbe the Congressional Gold Medal. The bill passed both Houses by unanimous consent, honoring the Rebbe for his "outstanding and lasting contributions toward improvements in world education, morality, and acts of charity".